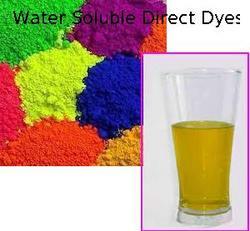 Prominent & Leading Manufacturer from Ahmedabad, we offer water soluble direct dyes, natural direct dyes and direct dyes. We supply a wide array of superior quality Water Soluble Direct Dyes that results in completely satisfied clients.These dyes are perfect for cotton, rayon and linens. We offer these dyes in various shades. Owing to the feature like easy to apply, these dyes are mostly preferred and appreciated by our clients worldwide. Natural Direct Dyes offered by us comprise of water soluble dyes that find usage in dyeing yarns of cotton, rayon as well as linen. Positioned under chemical class Azo, Phthalocyanine, Stilbene, these are made available in powder form and also support dyeing of any form of fabric and loose cotton. Here, our expertise lies in making these available under different colors like brown, grey, yellow, green, blue and others. 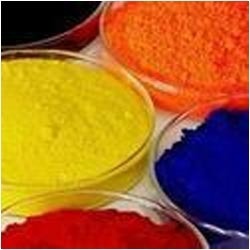 To cater the variegated demands of our precious clients, we are highly engrossed in providing a qualitative grade Direct Dyes. These dyes are used for the purpose of dying viscose and cotton in the form of yarn, fabric or loose cotton. 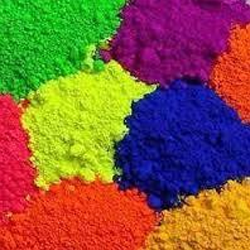 The offered dyes are processed by deft professionals using the finest grade chemicals and modern processing techniques at our vendors' end. These dyes are highly appreciated by our valuable clients owing to its purity. Additionally, we offer these dyes in different packaging options at an affordable price.